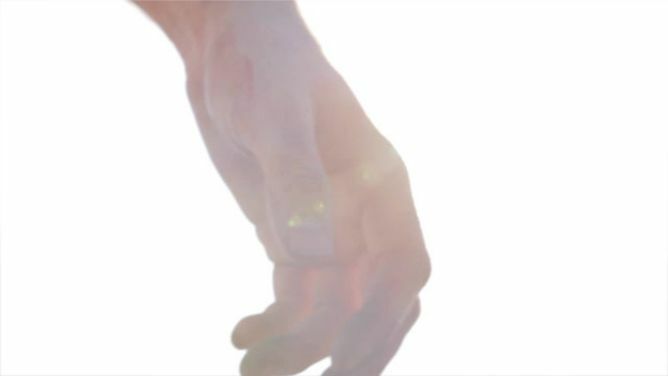 «Glass Bones» is a milestone to us. And it could have your name on it! Our new album and team, which we’re working together with, got our mood towards the skies for a while now. We fortunately convinced the Österreichischer Musikfonds with our concept for «Glass Bones». They funded quite a good piece of it. Now we’re optimistic about clearing the path of the last obstacles with your help. 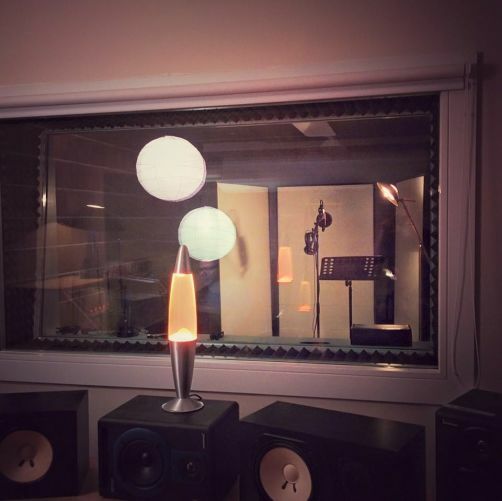 Unlike with our previous records, we decided on out-sourcing some of the stages of production and to allow ourselves enough time with song-writing. That’s one of the reasons why this release will cost more than all prior albums together. 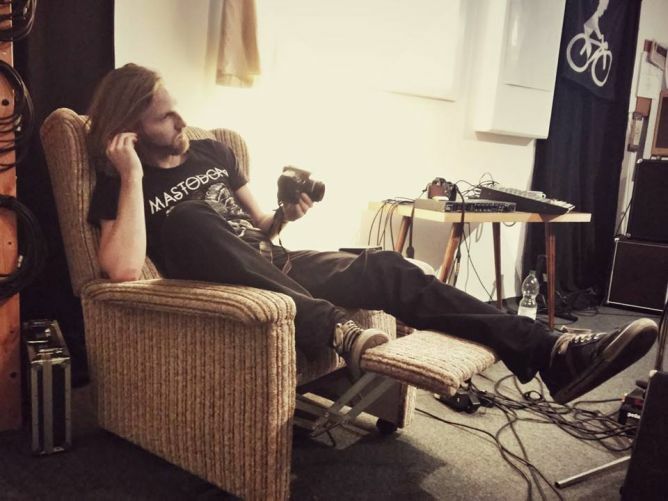 Our work progresses with the go-getting manpower of producer Georg Gabler (GAB Music Factory) and band manager Jonathan Gabler (Panta R&E), who both worked together with Mother’s Cake (amongst others). We also can count on the most accurat ears of Martin Scheer (Bilderbuch, and many more), who will be in charge of mastering. 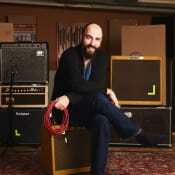 Andreas Jakwerth will be shooting our new band pictures, Birgit Weinstabl designed the ceramic heart on the cover. Our clips will be shot by Austin Settle (videos for Milk+ and Mother’s Cake), David Furrer (frontman of Milk+) and Lukas Windberger (former Puls4 cameraman). Without the funding of the Österreichischer Musikfonds we probably wouldn’t be able to realize the production this big. But of course we are very glad to have it, although there are still some gaps in our budget. Those concern mainly the funding of awesome music-clips, new pics, graphic design, etc. There’s still a big junk left for us to lift, but we are more than optimistic to accomplish the mission with your help! This project ended successfully on 14/8/2015 16:00! «Glass Bones» Downloadcode + digital Coverartwork. Get the «Glass Bones» CD! Signed. Greeting card attached. 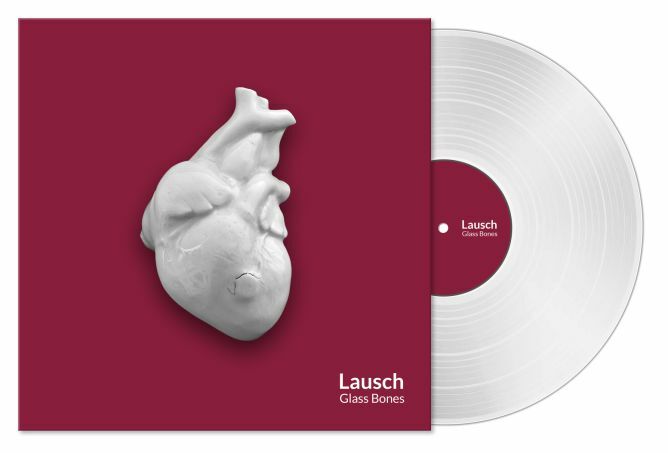 Get «Glass Bones» as a transparent Vinyl including a downloadcode. Of course signed. Comes along with a greeting card. 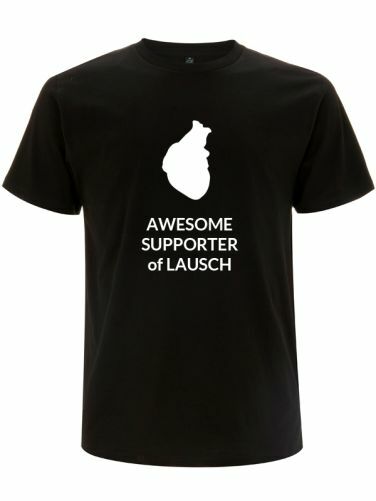 Exclusive and limited «Lausch» crowdfunding t-shirt, stating your awesomeness! Only here! Please send us your size (women & men available). You’ll get a download code of «Glass Bones» along with it. Wanna see your name in our booklet? This is your chance! Beside your spot in the credits you’ll get the CD (incl. booklet) as proof. Get the complete discography («Nothing But Not», «Friend of the Captain», «Canada is Falling» and «Glass Bones»), CDs in a box. Everything signed by the band. Visit us in our rehearsal room. Let’s have some snacks, drink, sit and talk about whatever we want. Of course you get «Glass Bones» on Vinyl and CD. Heart yourself! You will receive one of five exclusive handmade hearts as seen on the cover artwork, made by Birgit Weinstabl. Will ship in a wooden box. As an extra «Glass Bones» on Vinyl and CD. We will visit you and play an exclusive set of unplugged songs in your livingroom. You’ll also get «Glass Bones» on Vinyl and CD. Please note: travel expenses for 3 persons and backline (homebase=Vienna) are not included! Prepare for mayhem. We come to your house and rock your walls. What we leave behind? A smile on your face and a «Glass Bones» Vinyl and CD. Please note: travel expenses for 3 persons and backline (homebase=Vienna) are not included! Tonstudio im Herzen von Hernals in Wien.